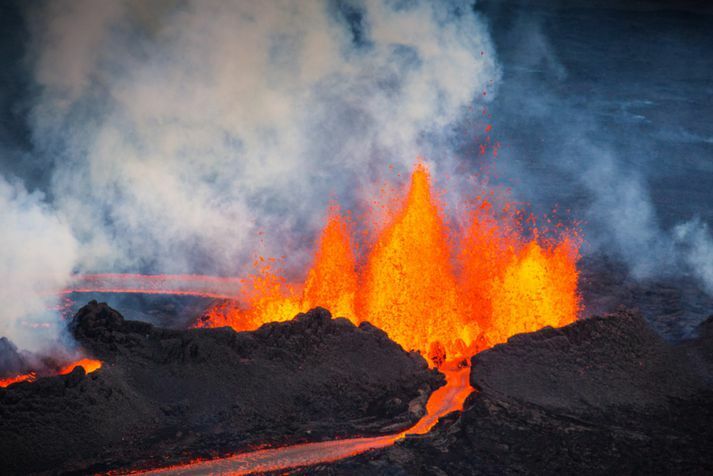 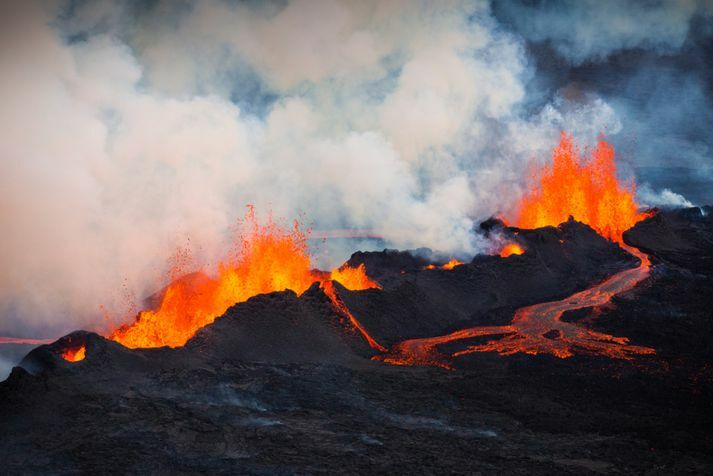 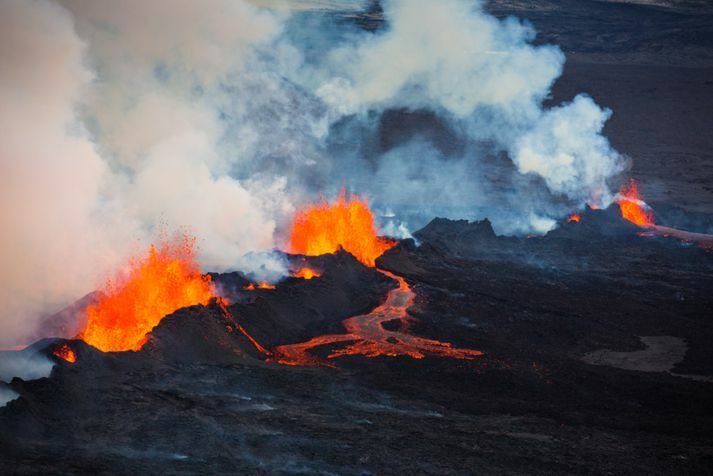 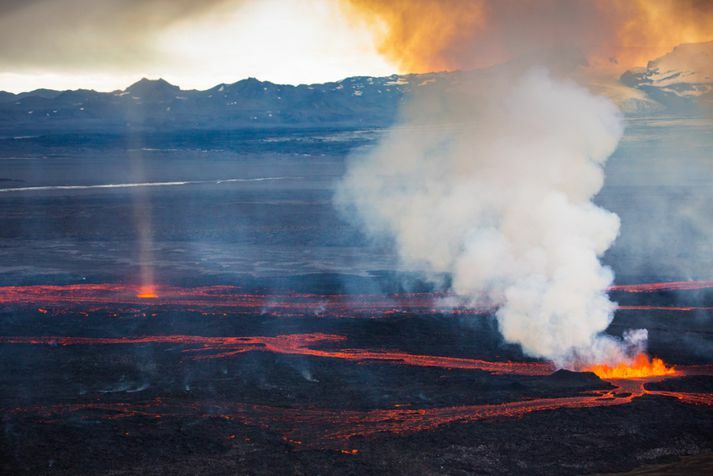 The eruption at Holuhraun lava field, just north of Vatnajökull glacier, has now lasted just over five days. 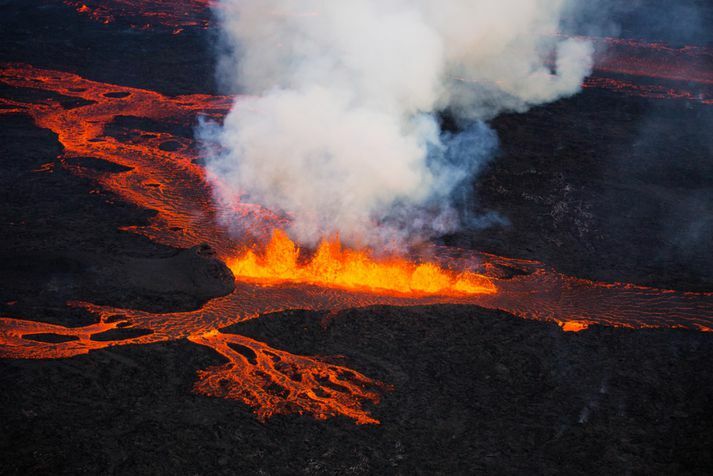 Last night lava from the eruption encompassed over nine square kilometers. 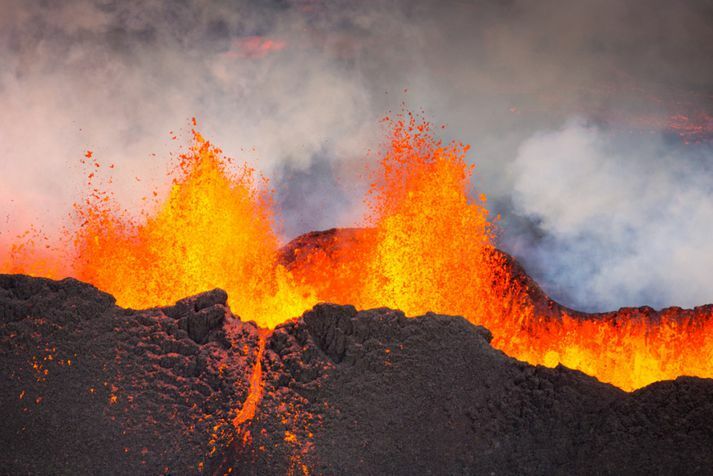 Volcanic activity has not decreased since it started and a 4,8 earthquake was detected in the area at four o´clock last night. 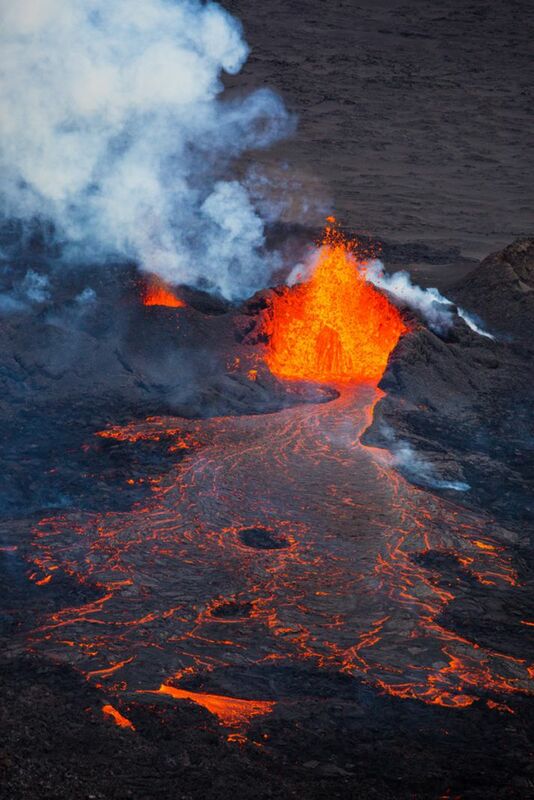 All traffic arround the lava field has been banned. 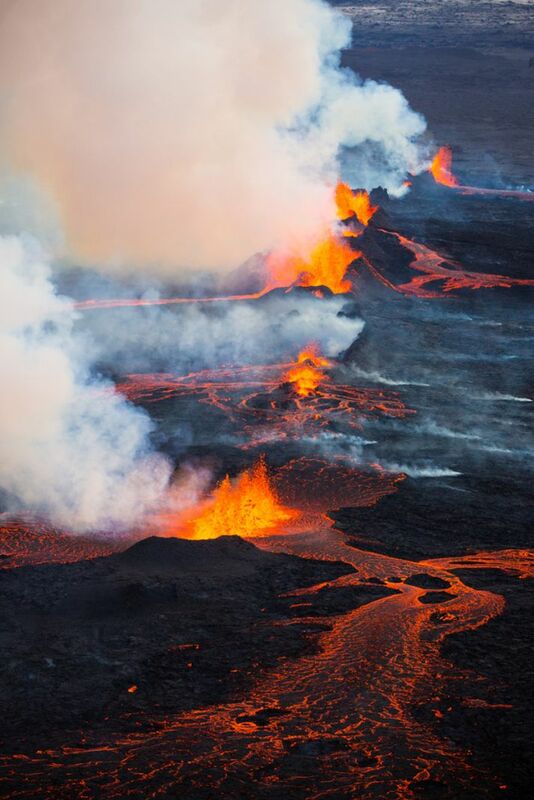 Auðunn Níelsson, photographer for Fréttablaðið and Vísir, flew over the eruption yesterday and took these images og the breathtaking scene.